Proofreading is a big deal. 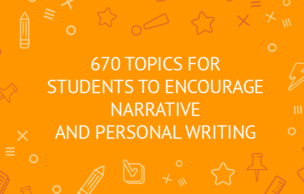 It always comes along the writing process, unlike the popular belief among students that they are done writing once they finish their last sentence, add the last author to the Bibliography or create an effective call-to-action for their essay. In reality, proofreading and editing are the last stages you should never leave out of sight when writing. If you used to believe that proofreading is all about looking through your documents only to check whether you have not made any major mistakes, you should know that this belief could not be further away from the truth. The thing is that proofreading is extremely important, and can make all the difference in the quality of your writing. As an attempt to assist you in learning how to proofread and edit your papers correctly, we have composed this guide. So, keep reading to learn what proofreading is and how you can proofread your texts right. If talking about the meaning behind the notion of proofreading, then you should know that its main point is in checking any text for any possible mistakes. Since we are not machines, errors are inevitable. According to the Undergrad.Stanford, the most common mistakes include missing commas, dangling modifiers, misspelt words, capitalization or apostrophe mistakes. It goes without saying that by simply proofreading your articles you could have avoided all of these mistakes. Most commonly, we make such errors when rushing to finish the text, which happens more and more often among the students. However, given a wide range of possible mistakes, one can make when writing the question remains: how can one proofread his writing and how hard is it to do? There are many important steps in proofreading and you cannot simply scan the document to find flaws is in it. Besides, there are many aspects to pay attention to including the flow, readability, grammar, punctuation, spelling, the correctness of the facts, etc. So, if you want to do the proofreading process right, make sure to save our steps, as they will help you go through the process without forgetting any of the important issues. Take your pen and a hard copy of your writing and get ready to check every little detail in the piece, all in attempt to increase your text’s quality. We strongly recommend you utilizing our tips step by step in order to achieve the highest quality of a piece possible. Give it some time. It is best not to start proofreading right after you finish composing the piece. Your brain is still focused on all the ideas you just wrote and you still know all the best parts of it by heart. So, you need to do something else before getting back to it. They say you need to take a short break in case you do not have too much time to change focus, go for a walk, sleep, or at least switch to a different assignment. Then once you forget what you talked about in the piece, you will be able to look at things from a different angle. And also, it might be a good idea to ask someone to proofread your text for you. A different person seeing the text for the first time in his life is able to see flaws and errors which you might miss because is way too familiar to you. So, ask your friends or fellow students to help with this task. By taking a distance from the piece you are writing, you get to look at the text in a new way. That’s why printing it out and changing the text’s layout is helpful. So, consider proofreading your text on a hard copy. There is a certain magic in using this old school method of writing comments on a piece of paper, marking things you want to work on again, and pointing out which parts need to be removed or replaced. Editing it on the screen and editing it in a hard copy is different, as hard copy adds a personal touch to all the process. And finally, sometimes when you change the layout you can see what the best way to change the meaning of your writing is. Divide it into different parts. If you want to save some hassle, you should split the text into different parts and check them at a different time. This will increase the efficiency of your proofreading and therefore, the quality of your final piece. 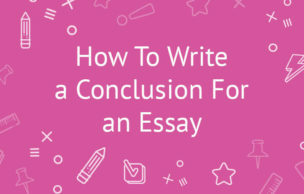 However, this is only applicable if you are proofreading a longer document, as it might be hard to split a one-page essay into several parts. Take breaks in between the checks to refresh your mind and gain a new perspective on the things you are talking about in the piece. As you see from our description, proofreading can be quite time-consuming especially if you do it right. That is when the cutting-edge technologies come to the rescue. Thanks to the growing concern of the proper grammar and punctuation and serious lack of time, developers have presented several amazing solutions that can save you much time and effort. And when we say “several”, we mean a tremendous amount. Some of them are free of charge, some of them are not, some focus on checking the grammar, while others check punctuation too. But there is one thing common to all of them. With these solutions, you can proofread texts with just a click of a button. All you basically have to do when using these proofreading services online (proofreading agencies) is copy the text you wrote and insert it into a special field. It’s that simple! So why not taking advantage of it today? We all have some common mistakes we make. And by knowing them, you can easily avoid making them in the future. Therefore, once you start proofreading your text, consider keeping a log of all the errors you make. If this idea does not sound too appealing to you, you can always register with one of the online systems offering you such services. Thus, whenever you make a mistake the system will register it and offer you a report in the end of each text. Once you identify what mistakes you make most frequently, consider dedicating some time to learning the rules, studying the subject or seeking the assistance of your tutors, so that next time you are working on a creative piece of writing, you won’t face the need to fix all the mistakes again. You will just write bearing in mind one common mistake you make at a time. Imagine how much time you will save this way! Well, this one is tricky. We usually pick up punctuation rules when reading different works by famous people. However, even though it seems like the easiest way to learn, it is also not quite dangerous. The writers often add commas and other punctuation marks wherever they stop to take a deep breath, they have their own vision of how their text is supposed to be read. However, the actual rules might be very different from their vision. That is why, you need to learn the proper way and make sure that you put them where they are needed. The rule is that if you are not sure about something, look it up in the textbook! Ask someone to read your text for you. Another great trick that can do real wonders for you is reading the text out loud. When you hear the text being read, it is completely different than when you see it on paper. You can read the text out loud yourself, only slowly. However, the effect of someone else reading it to you is much greater. This way, you get to hear how a person not familiar with your text sees it. Does he understand where to stop? Does the text sound wholesome? Can you see how each part flows into another? These are the questions you need to ask yourself and the person who reads the text to you. Besides, remember to ask for advice. People looking at your writing at a different perspective might have great tips for you on how to improve your writing. So, trust them and let them be a part of this! You should also take some time to read a paper to yourself. You need to hear it slowly, a sentence after sentence. Such an approach will give you a chance to analyze whether your writing has met your expectations and also whether what you had in mind came true on paper. Do not jump from one part to another, but rather try to analyze each section with all the seriousness. Thanks to knowing what exactly you meant to write in this particular part, you can literally hear whether it came out right. So, read it aloud to yourself too. Read the paper from end to the beginning. This idea might sound a little out there to you, but it can really do wonders to you. This way instead of following the flow of your text, you can focus on each one of the sentences. Students get to analyze their grammar, punctuation, spelling and other things thanks to being able to focus on different small sections. And look at it this way: if it was your first time ever reading about this idea, would the meaning of each sentence be clear enough for you or would you need additional research to understand what this is all about? Each sentence should be clear enough so that even a newbie in a topic will understand it. At least, this should be your goal. When you write things you are a real expert in, it is easy to forget that your readers might see this term for the first time in their lives, and it is your job to explain it or use a simpler word instead of a professional notion. That is why, when proofreading, you need to make sure that there are no unclear words in your paper. It is not a good idea to make things too complicated for your readers, so keep it simple and clear. Or if you cannot find another word to substitute the unclear one, make sure that you footnote the definition or add it to a special section in your paper (for example, in a thesis). Do not assume that the readers and you are on the same page, because in most cases this is not true. Most students struggle with this part so much and it is understandable: each school has its own citation format. Thus, getting confused is very simple. Therefore, we strongly recommend you to seek assistance of your tutors in this. Ask them to provide specific expectations (preferably in one list) so that when the time comes you will know how to write properly. Once you receive that list, equip yourself with proofreading marks and be ready to fix all the errors in your text! Just to recap, we wanted to mention that proofreading is not a dull activity made mandatory by your school. It is an effective tool that helps you increase the quality of your writing and makes you a better speaker in the end. And even though it might take up some time in the beginning, once you learn the drill, you will do it on the fly. So, do not feel intimidated with it, but seize an opportunity to make the most out of this activity for your own good!